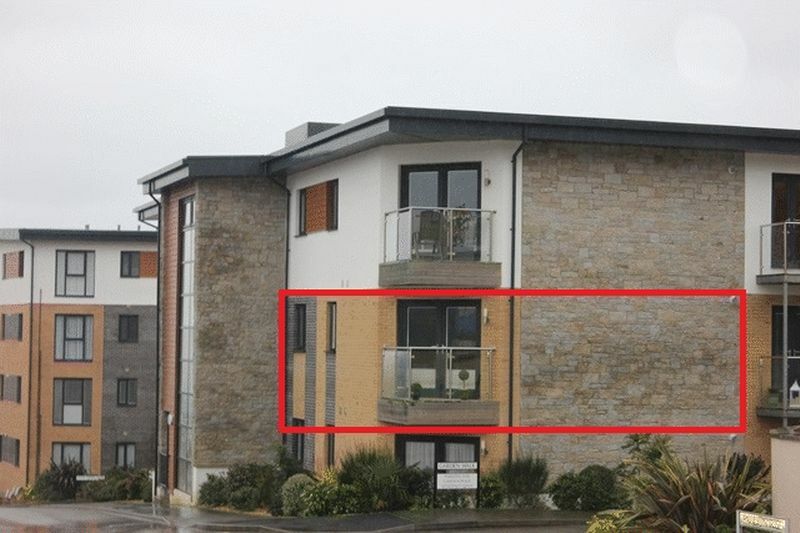 This is a well presented, modern, two double bedroom, second floor apartment, set within a popular and highly regarded residential development at Duporth, offering superb open plan living accommodation, sea view and allocated parking. 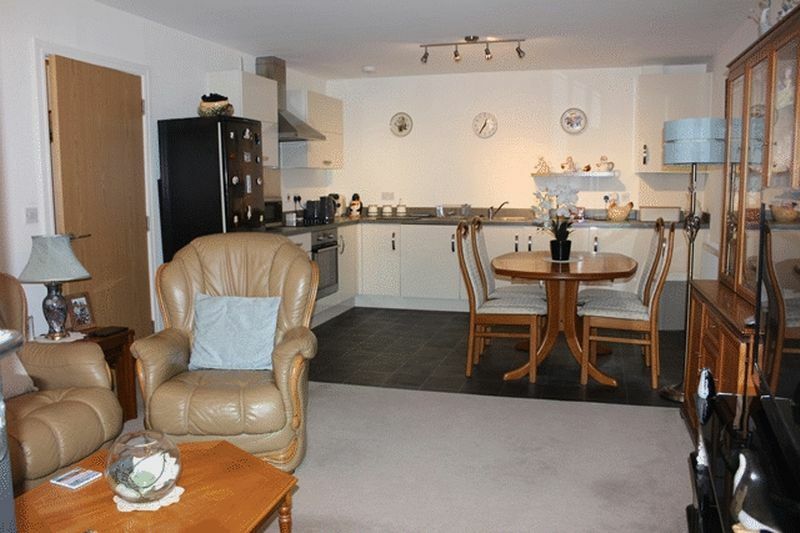 A spacious communal hallway with both turning staircase and lift access serves just six apartments over three floors. 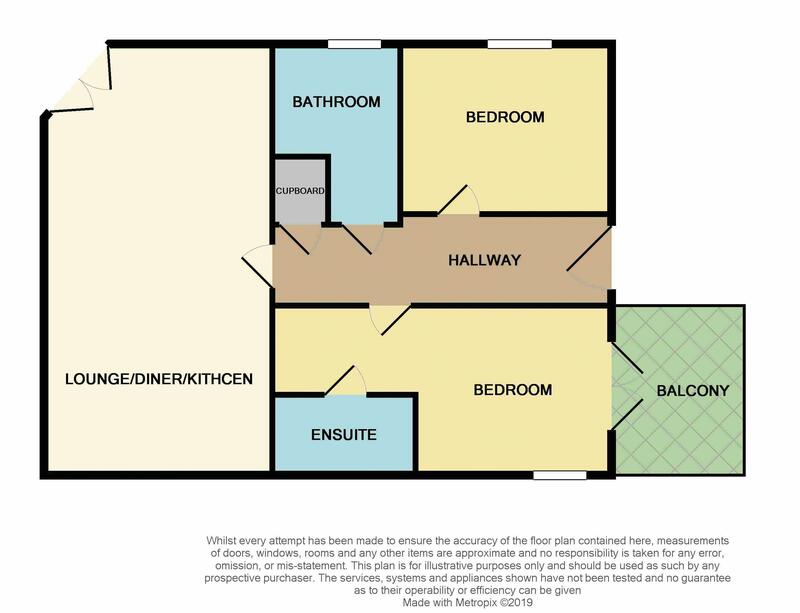 The apartment has a generous reception hall, open plan living space with balcony, bathroom and two double bedrooms, the main having a dressing area, well equipped ensuite shower room and separate recessed balcony. 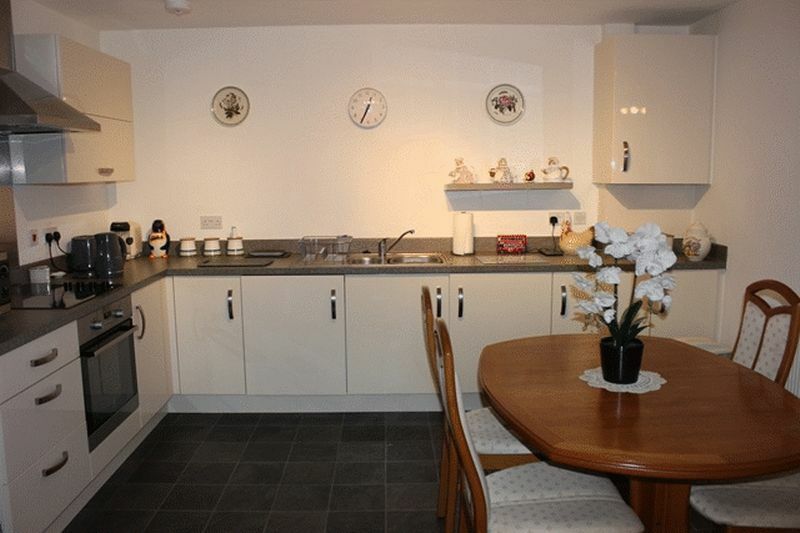 The accommodation is served by gas fired central heating and double glazing. 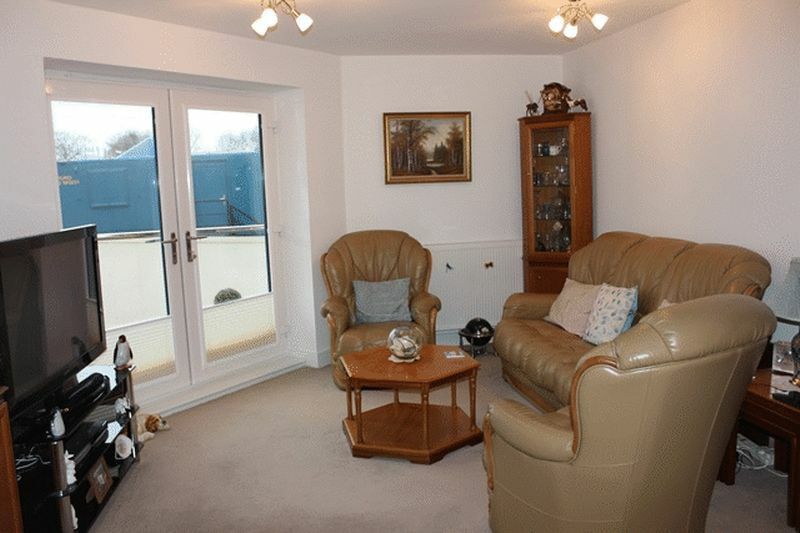 The residents of the Duporth development enjoy private access to Duporth beach which is a short woodland walk away. The neighbouring harbour village of Charlestown with numerous pubs, restaurants and facilities is a short distance away, and in the opposite direction the coastal path will take you to the sandy sailing beach of Porthpean. 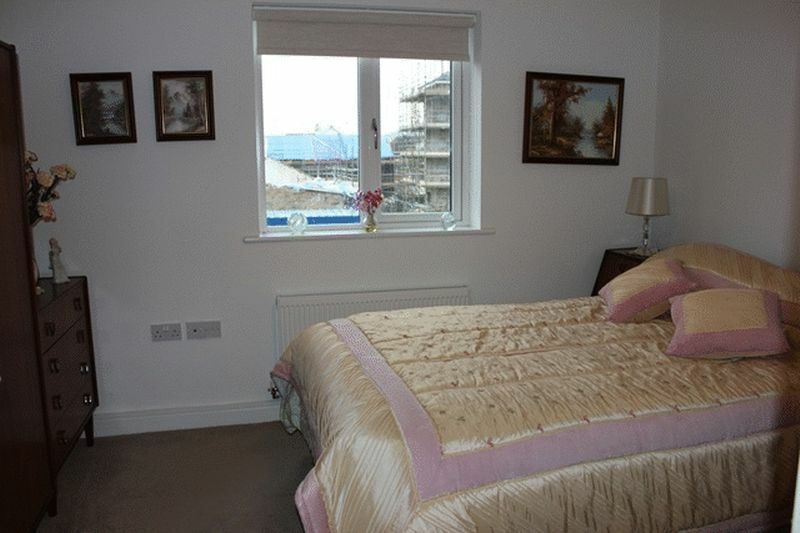 The apartment is likely to appeal to a good number of people, being considered well suited to the retired/professional couple or those seeking a second home or manageable letting investment, and early appointments to appraise are advised. Serving just six apartments. Entry phone, post box, lift and turning staircase to upper floors. via enclosed landing. Apartment entrance door to hallway. Good immediate reception area. Entry phone. Radiator. Telephone socket. Recessed airing cupboard housing hot water cylinder. Doors leading off to both bedrooms, bathroom and open plan living area. maximum. 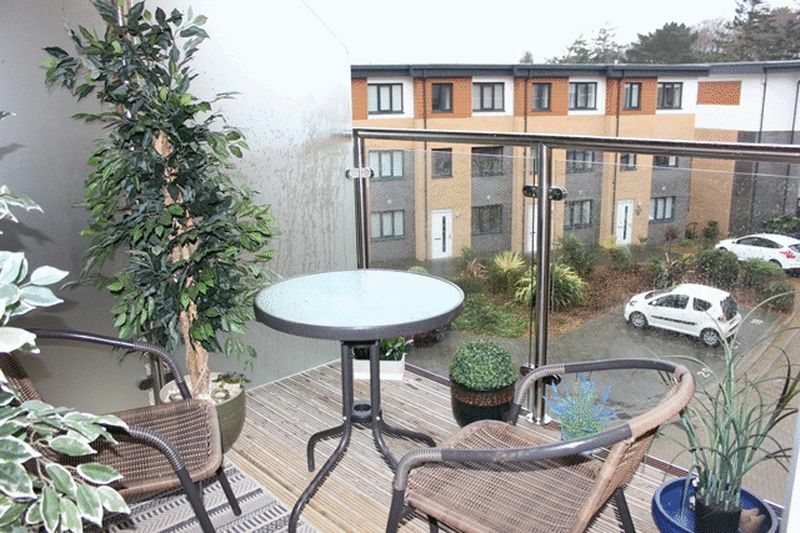 Light and attractive area via French doors opening to balcony. Kitchen area: Fitted with a modern range of base and wall units providing cupboard and drawer storage, working surface over housing inset sink unit with oven and hob. Integrated washer/drier. Wall mounted Gloworm gas fired boiler. Space for fridge/freezer. Radiator. Lounge area: Radiator. TV aerial point. 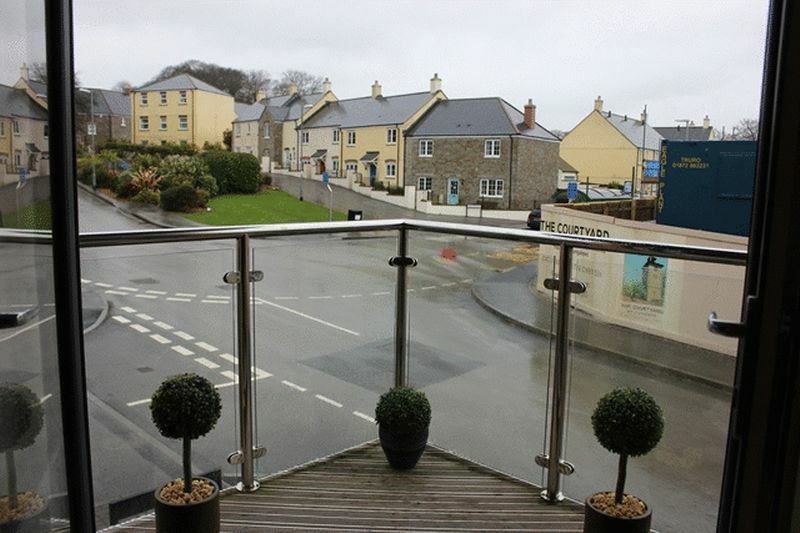 French doors opening to balcony area being timber decked and having glass and stainless steel railing and enjoying a distant sea and headland view, and views towards the estate. plus 8' 7'' x 5' 4'' (2.61m x 1.62m) dressing area. Window to front. TV aerial point. Radiator. 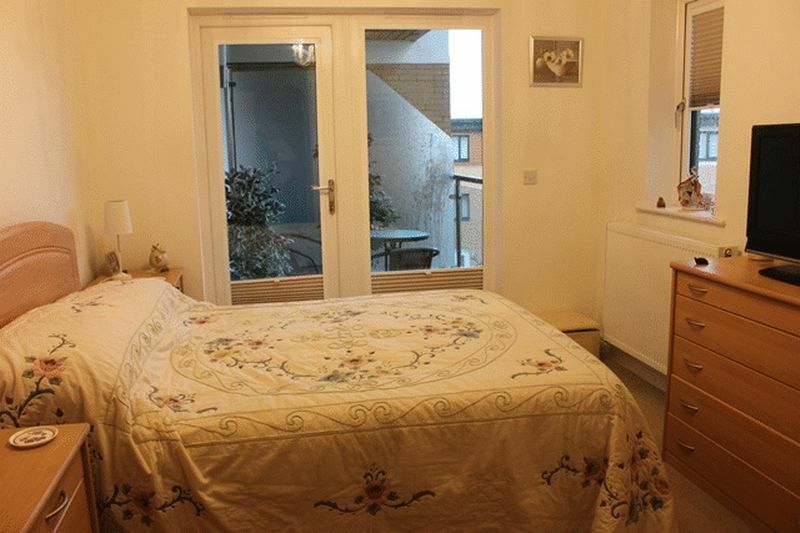 Door to ensuite and double doors opening to balcony. 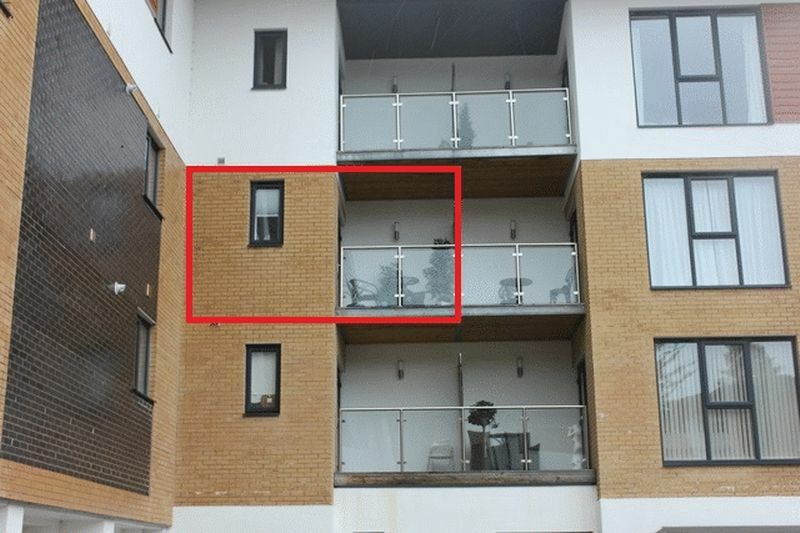 Recessed balcony with glass and chrome balustrade, and timber decked flooring. Fully tiled double shower cubicle with glazed screen, wash hand basin and concealed w.c. Part tiled walling. Towel radiator, extractor fan, shaver socket. Window to rear. TV aerial point. Telephone point. Radiator. plus door recess. Fitted with a white suite comprising panelled bath, glazed shower screen over bath, wash hand basin, concealed w.c. 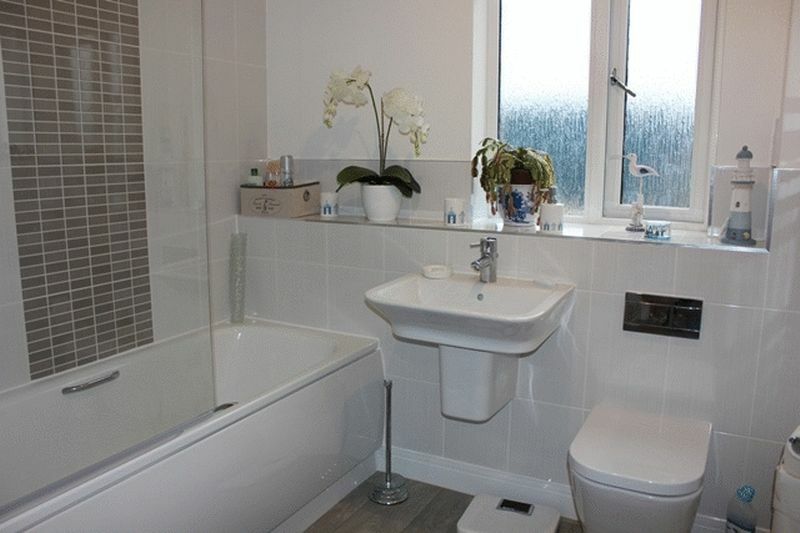 Fully tiled around bath area with part tiled walling adjacent. Towel radiator. Pattern glazed window to rear. Shaver socket, extractor fan. 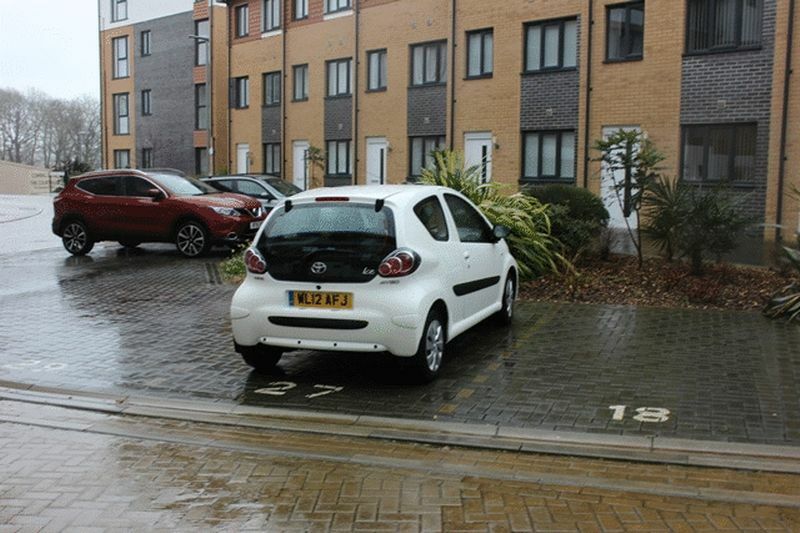 The apartment has its own allocated parking space within the parking area. Recycling store and cycle store conveniently close by. Two storage rooms. The maintenance including buildings insurance is currently £79 a month. Estate charges for general communal estate maintenance paid by all dwellings on the development which covers maintenance of the beach and access through the woodland walk is £183 per year. Ground rent is £250 per year.